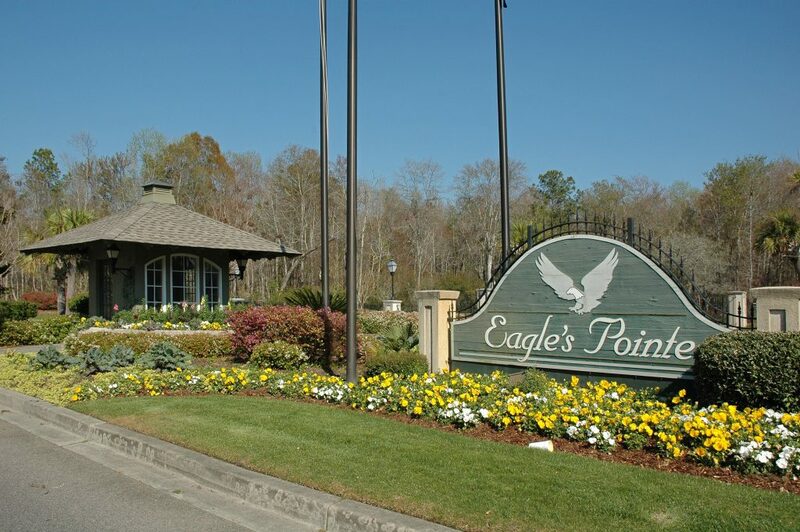 Eagle’s Pointe real estate is a small, 249 home community located in Bluffton, South Carolina. Although it is not a gated community, there are no through streets in the community. At the heart of the community is a seven acre lake, a community pool, clubhouse, and tennis courts – all limited to resident use only. The Eagle’s Pointe Golf Club, designed by Davis Love III, is open to public play and a favorite course among local residents. Homes with Eagle’s Pointe are moderately sized and moderately priced, and most sit on lots between one-quarter and one-third of an acre.